What I like about men's wardrobe is that they don't require too much effort. For example, my partner doesn't need too much in terms of fashion. He always wears his t-shirt paired with pants and he is good to go. But oftentimes I thought of dressing him up though it always fails as he will still wear the t-shirts that he is comfortable in. Basic men's wardrobe can be classified into two types, the casual wear, and the formal wear. Well, this is according to my man. But if your man is into sports, you'll also include the sportswear. I know there are a lot out there who will go out in terms of fashion items needed for men. But in this post, I'll only tackle the necessities especially the things that are often used by my partner. T-shirts are versatile as you can wear it anything. White shirts are my favorite as this is breathable and can be worn during summer. It is also one of the best colors to my man's dark skin color. 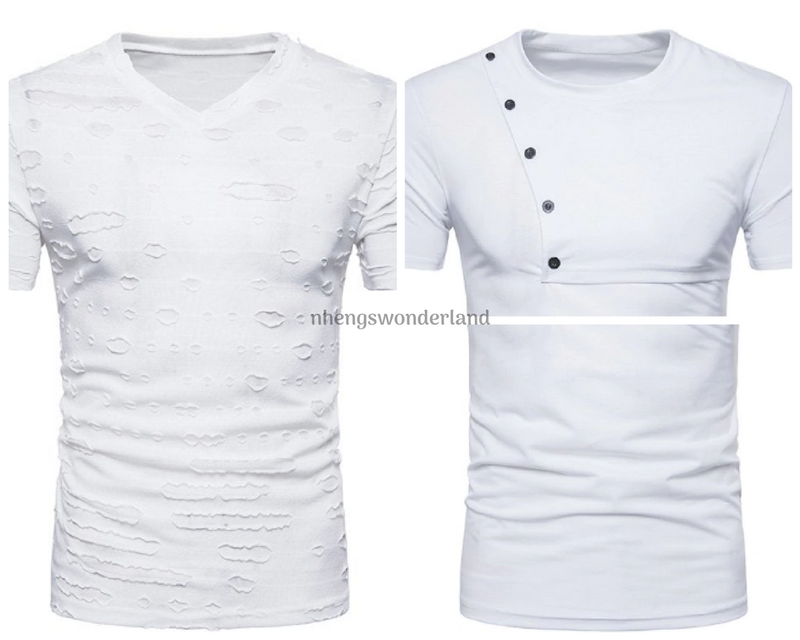 Here are a few white t-shirts from Dresslily to choose from. To twist the look, throw in black blazers for a more formal look and a denim jacket for a more casual one. 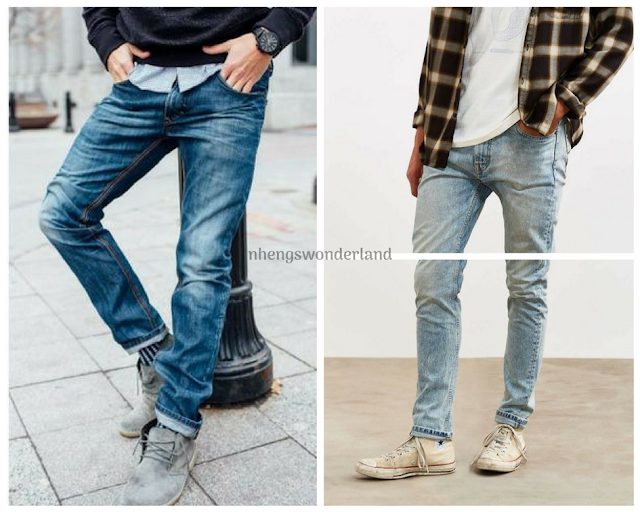 Another staple on men's wardrobe are jeans. 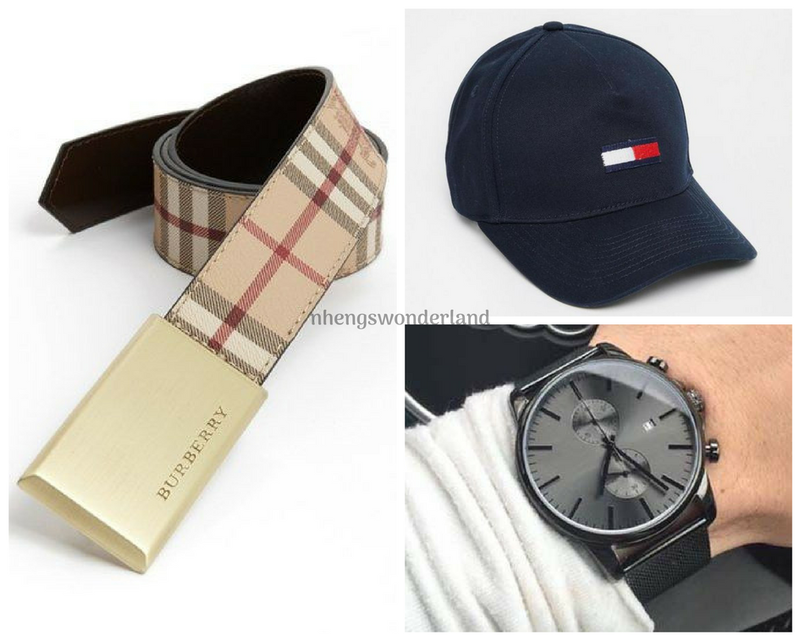 This is the standard in most guy's closet. There are varieties that men can wear. They can go denim, dark and even tattered. Always choose a good brand as it goes a long way. Jeans are perfect for everyday activities or just for running errands. Men will go-gaga over what footwear to use. I think this is where they mostly splurge on their money. It will also show on how much they love their pairs as they will keep on using it. My partner's common staple are sneakers. Men usually invest in a few pieces of accessories. Basics are belts, cap, and a watch. 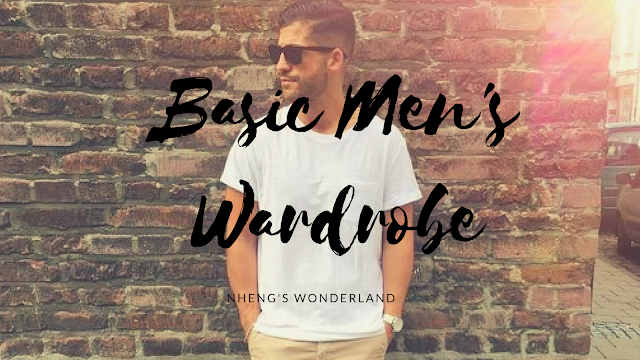 Women should learn a few things from the basic men's wardrobe. Being minimalist and simple it only shows the classic and quality items that they can use. For sure guys have different needs depending on what suits them or what they do at work. But it only shows how uncomplicated they wardrobes are.